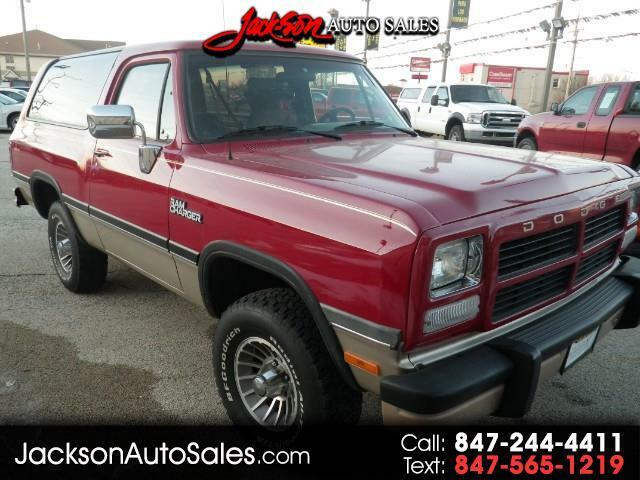 1992 Dodge Ram Charger 4wd Canyon Sport. Come check this thing out! Talk about a blast from the past! This Ram Charger is in turn key shape and ready to roll! The body and mechanical's are in amazing shape! This Ram Charger is surely one of a kind due to its condition and how well it was maintained! Come see it today before it's gone! Ask for Brian or Andrew for more details! Message: Thought you might be interested in this 1992 Dodge Ram Charger.